The Mato & Hash� Military Shemagh is also known as Keffiyeh, Ghutra, Hatta, Tactical scarf, or Arab scarf. Shemaghs are a Traditional headdress of Arab culture with many uses such as protection from the Sun, Sand, Wind, and harsh winter weather. Keffiyehs are not only for Fashion and Protection, they have endless uses, from an emergency Arm Sling, Blanket, Towel, sweat rag, and much more. 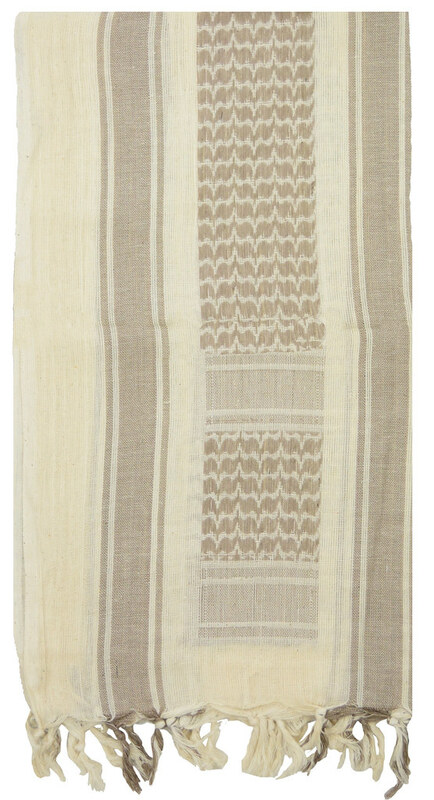 The Mato and Hash Shemagh scarf is made of 100% woven cotton. Durability and strength to last the all-day wear and tear while still giving you a lightweight breathable feel. Mato & Hash� Military shemaghs measure approx. 43�X43� and adapt to many different style folds. Not sure of how to do the different style folds? No need to worry! All Mato & Hash� Shemaghs come with an instructional pamphlet showing you all the different style folds. Shemagh Tactical scarfs are washable, for best results hand wash, and air dry. - WOVEN COTTON - Mato & Hash� Tactical Scarfs are made of 100% woven cotton. Breathable, Strong material that provides comfort in any weather condition and will hold up in against everyday wear and tear. - CLASSIC SIZE - Military Shemaghs measuring approx. 43�X43�. Prefect size for all the classic head and scarf wraps. Looking something bigger? Check out our Mato & Hash� JUMBO Military Shemagh. - VARIETY - Shemagh Scarfs are available in multiple color choices and adaptable to any fold for endless use and styles. All Shemagh Scarfs will include an instructional folding pamphlet. - VERSATILE- Mato & Hash� Keffiyeh is a Multi-propose scarf. Keffiyehs give protection from the sun, Sand, and harsh winds when Hunting, Hiking, Climbing and Fishing. Not only are they for protection Keffiyehs can be used as a blanket, Arm Sling, Sweat rag, camouflage and much more! - WASHABLE - Hand Wash and Hang dry for best results. Darker Shemaghs will lose excess dye when washing.